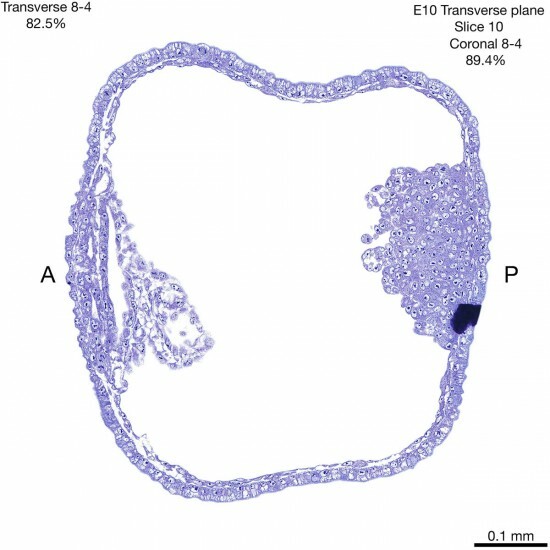 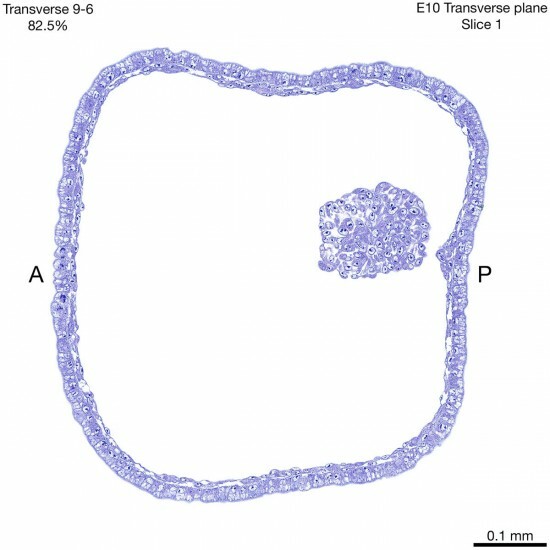 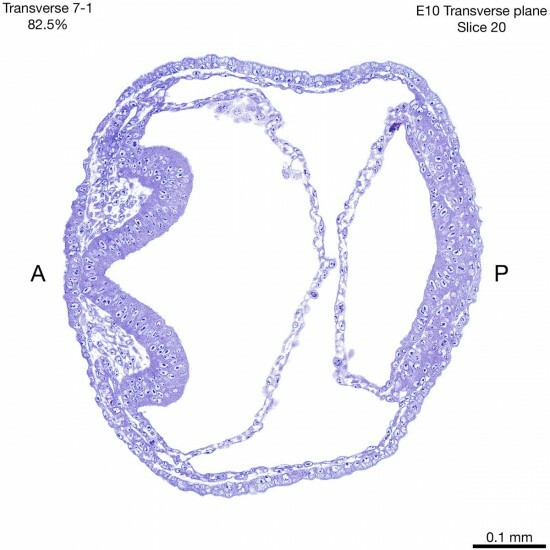 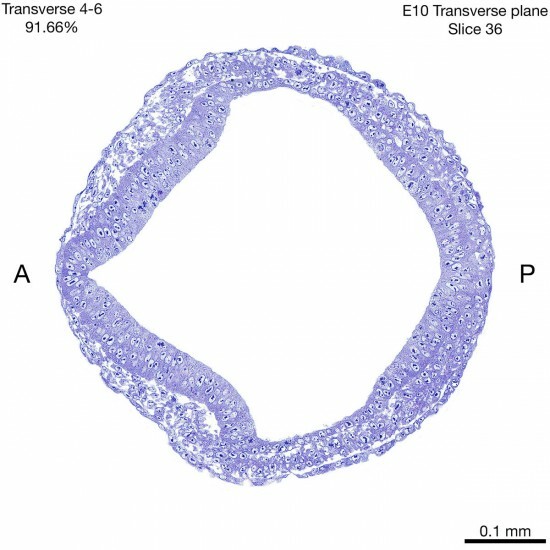 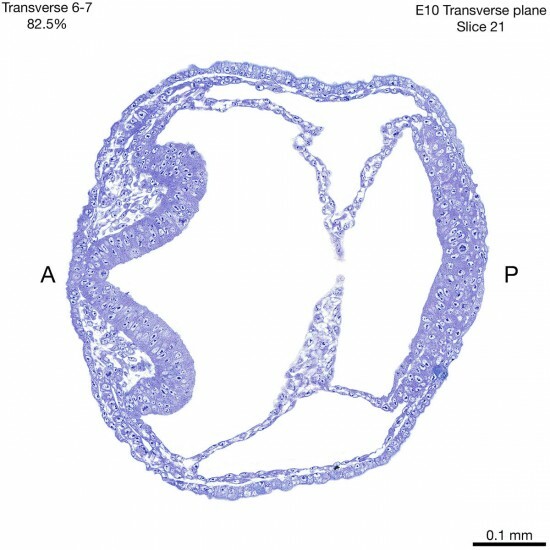 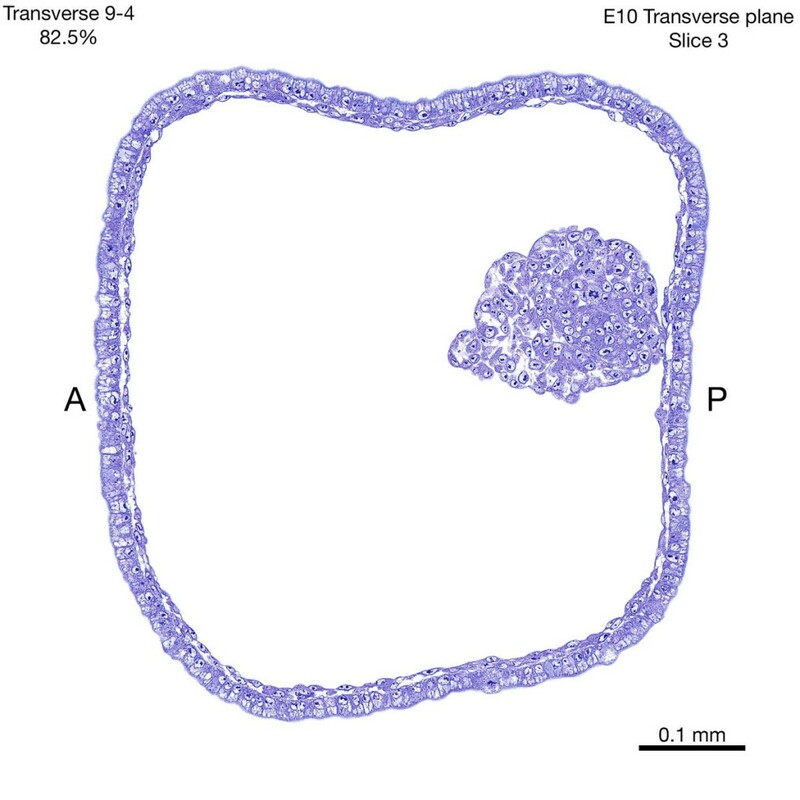 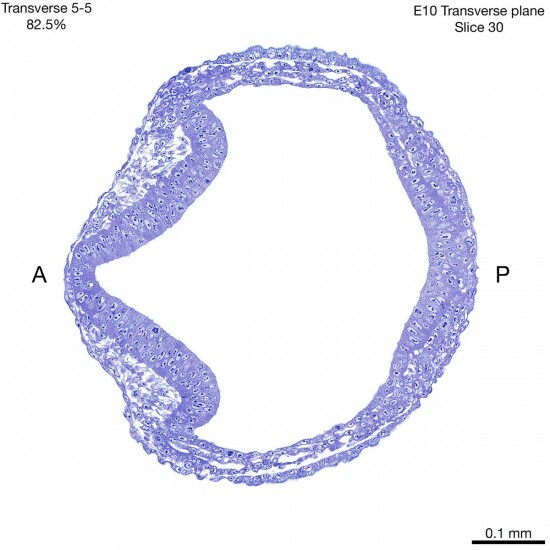 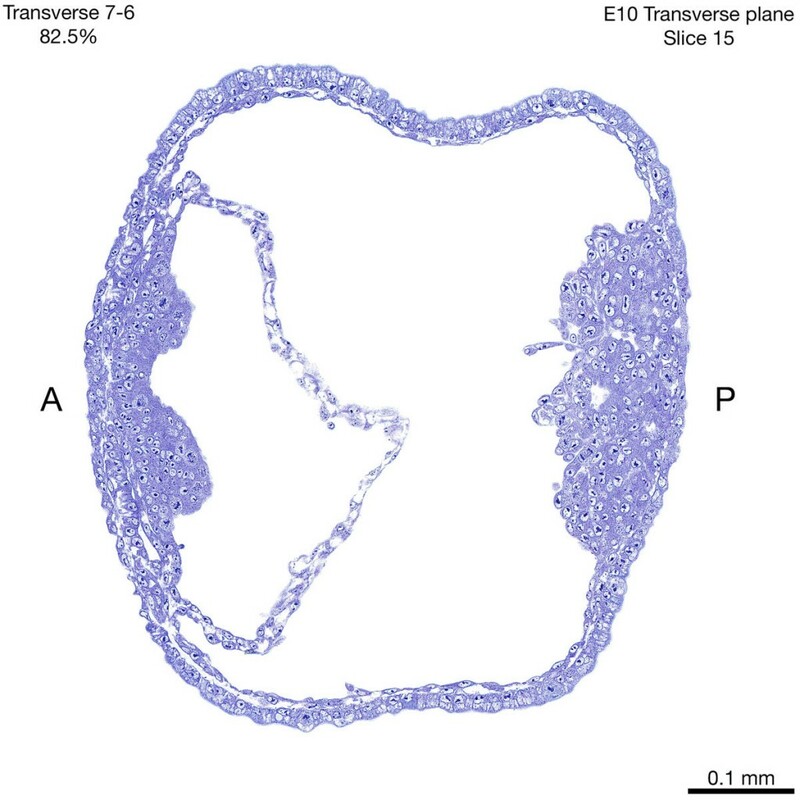 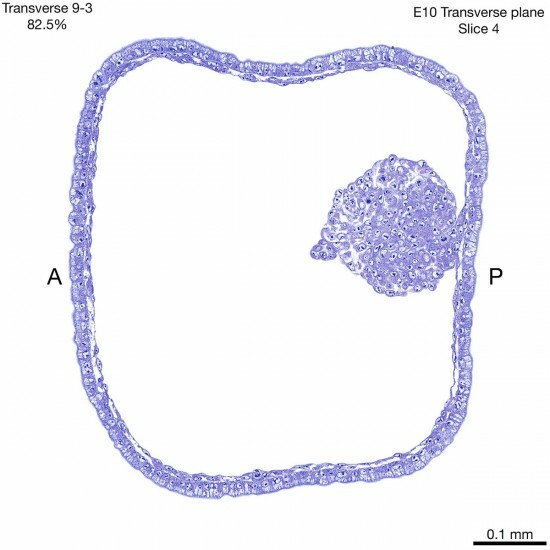 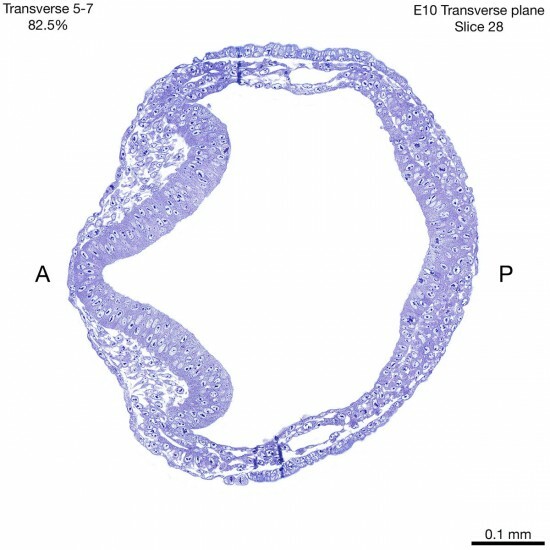 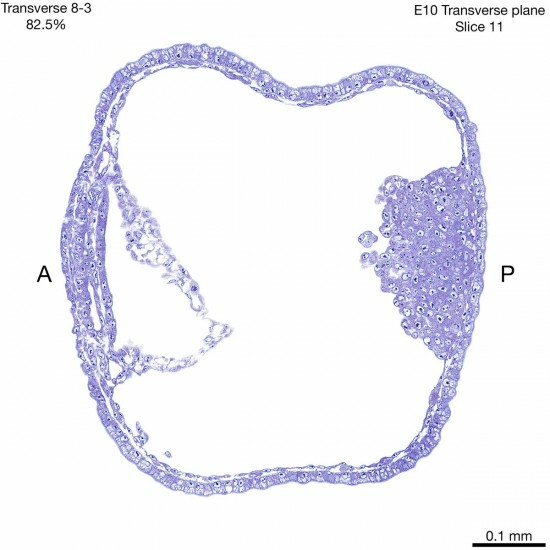 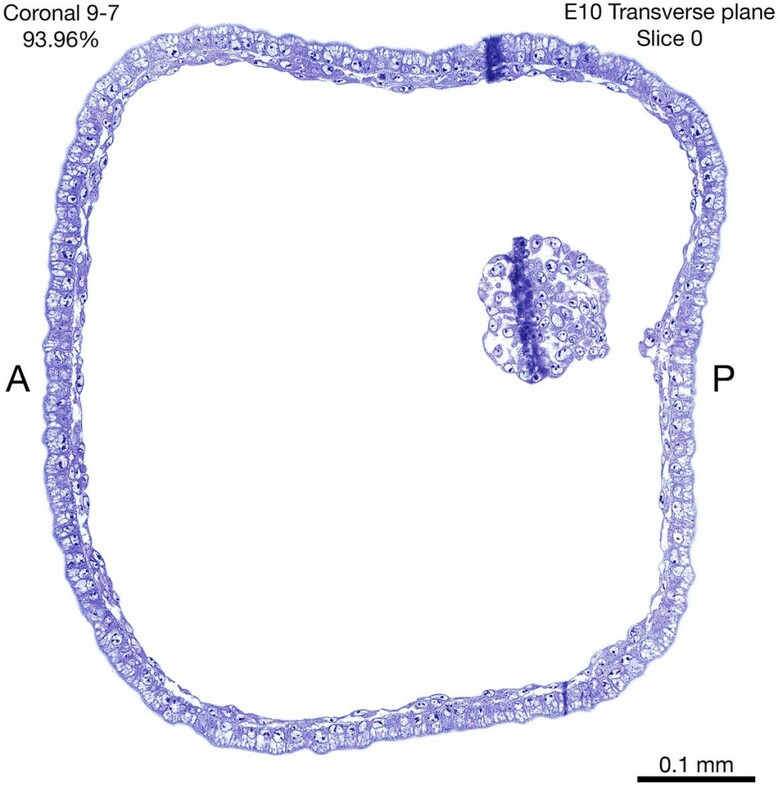 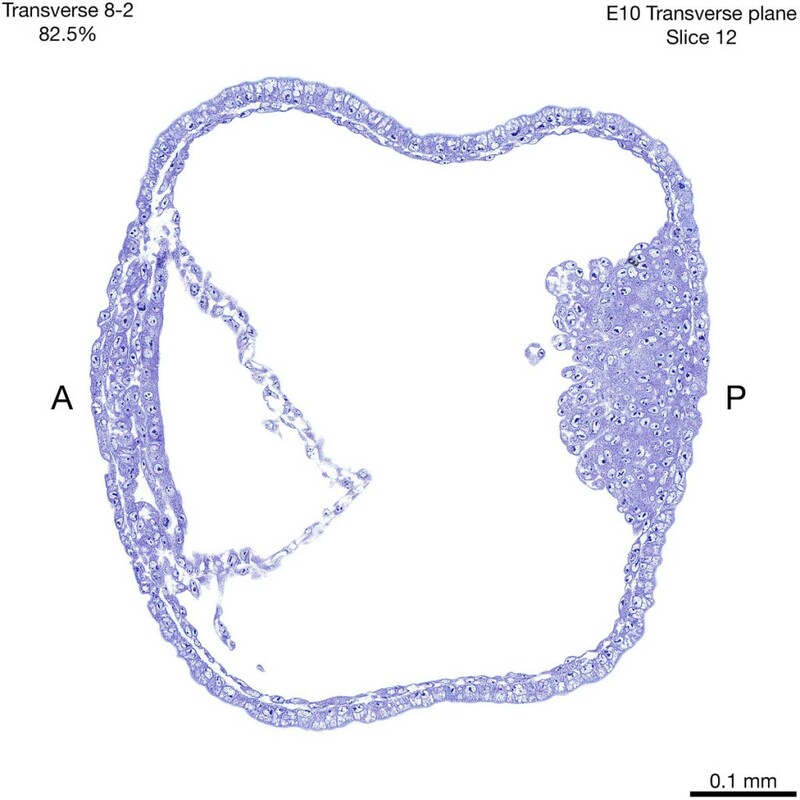 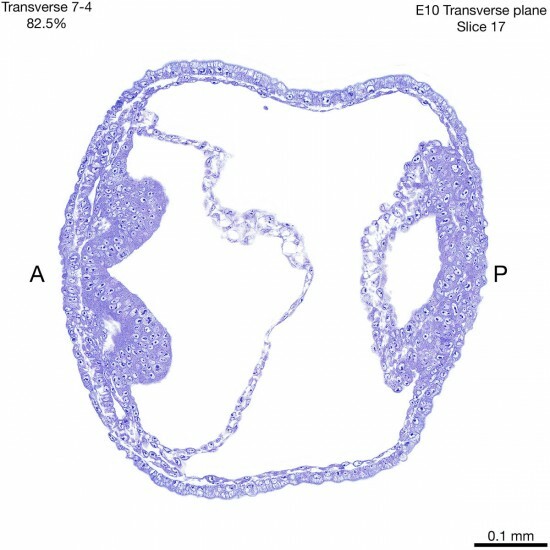 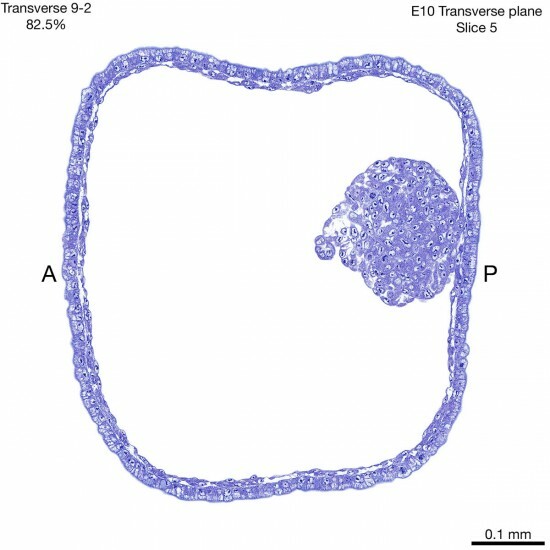 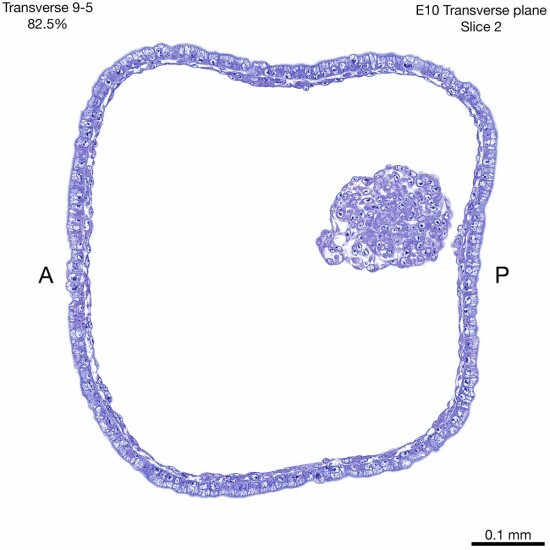 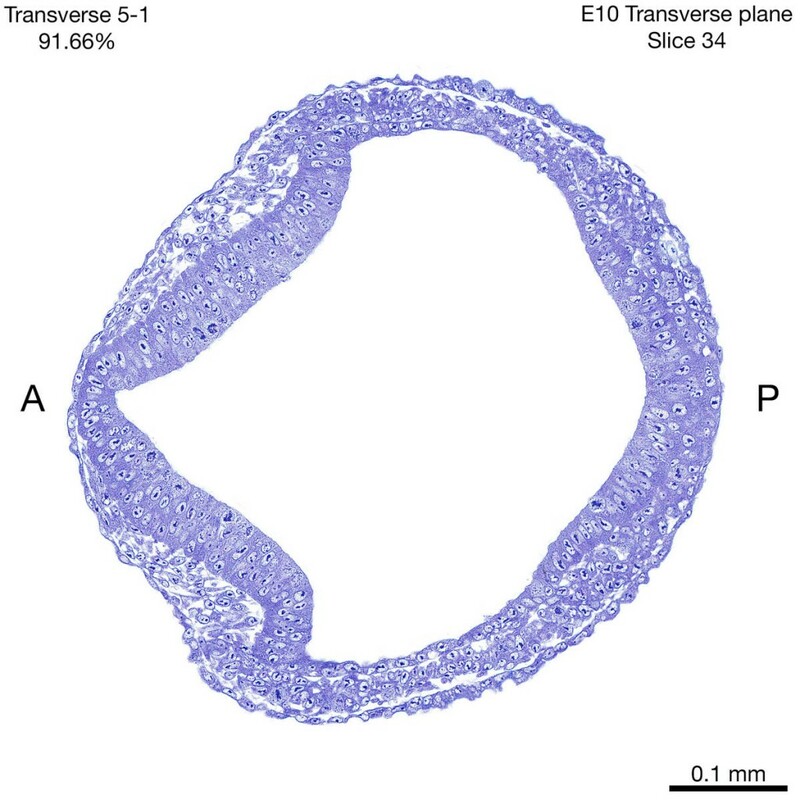 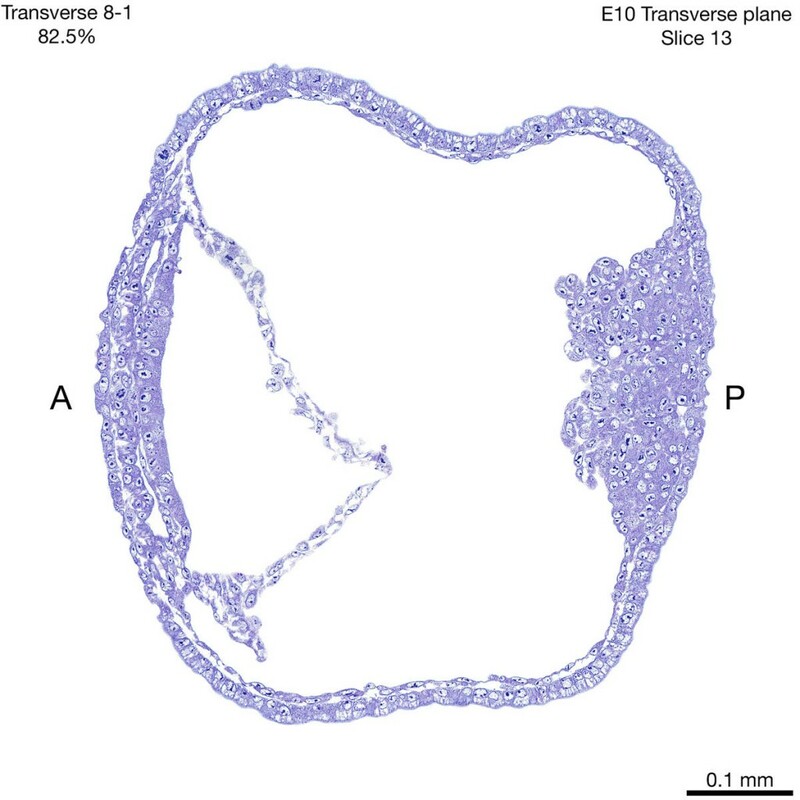 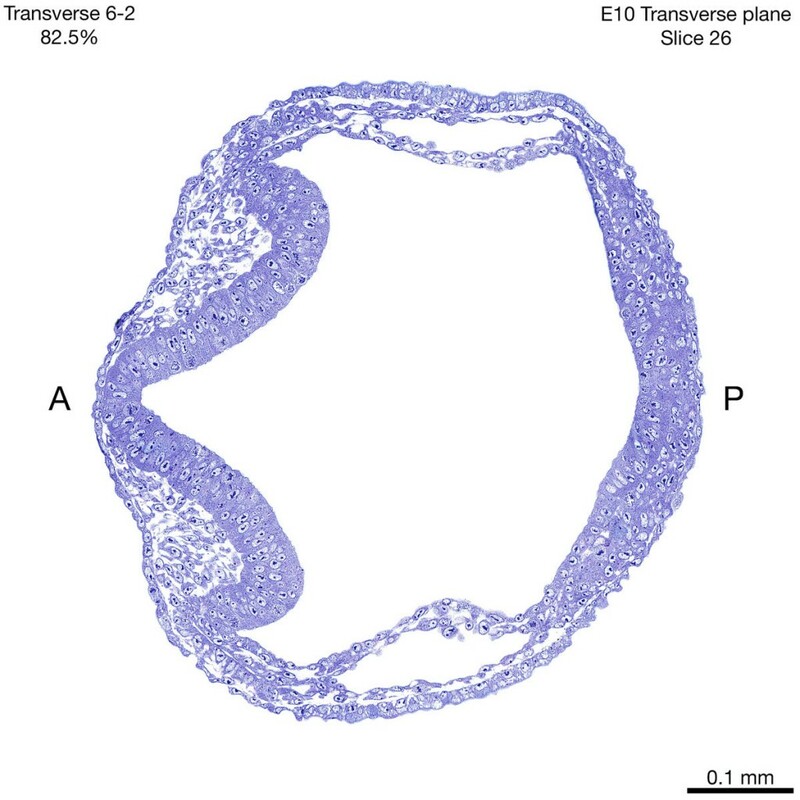 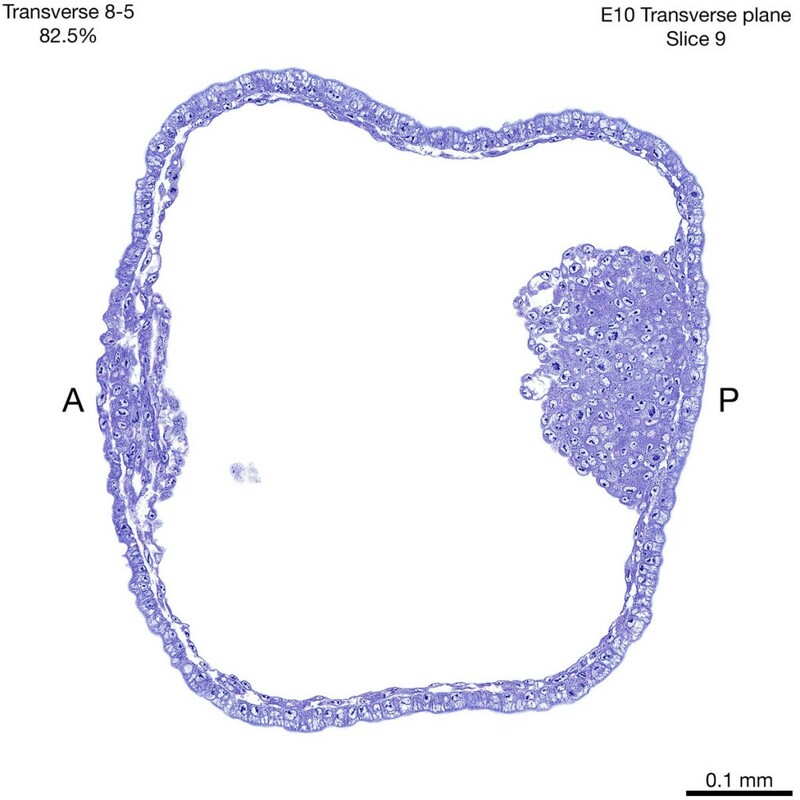 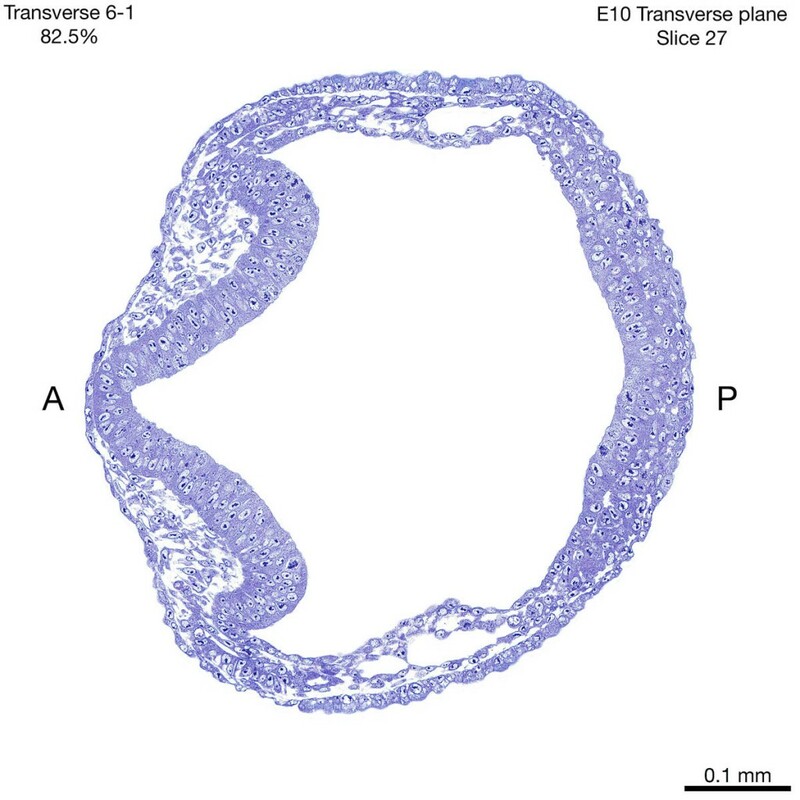 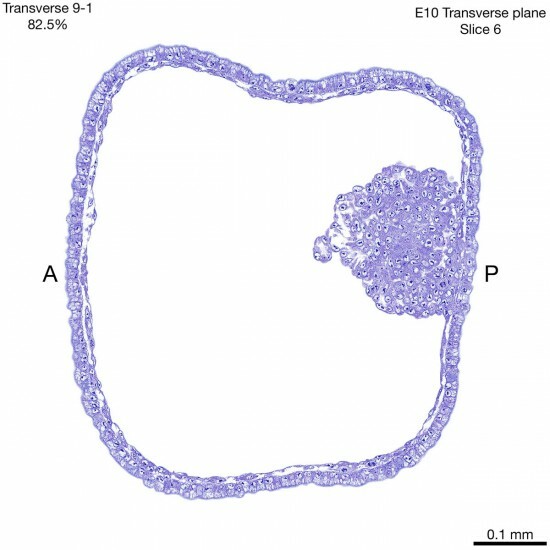 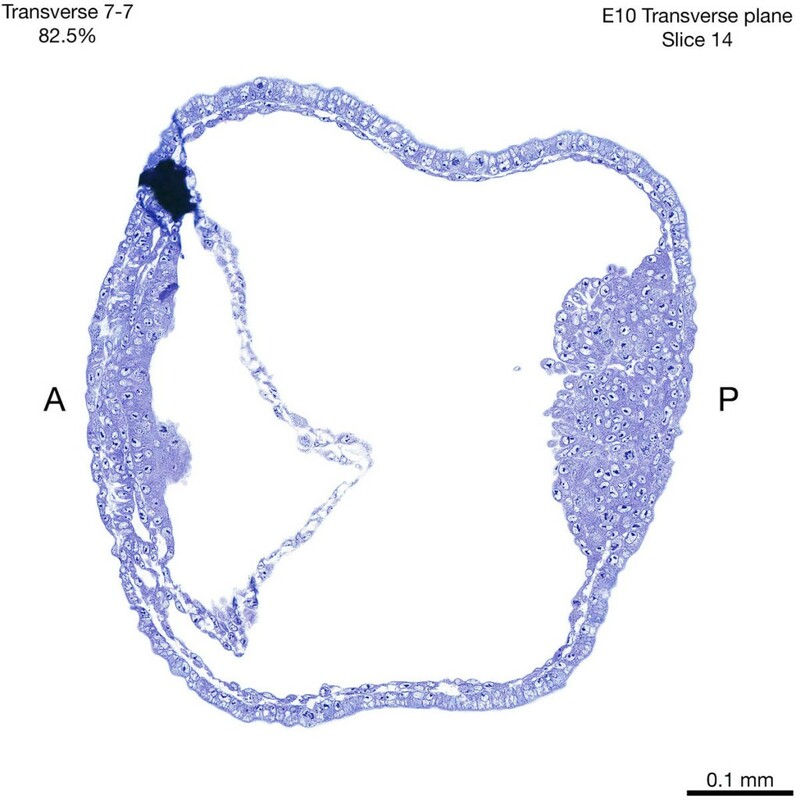 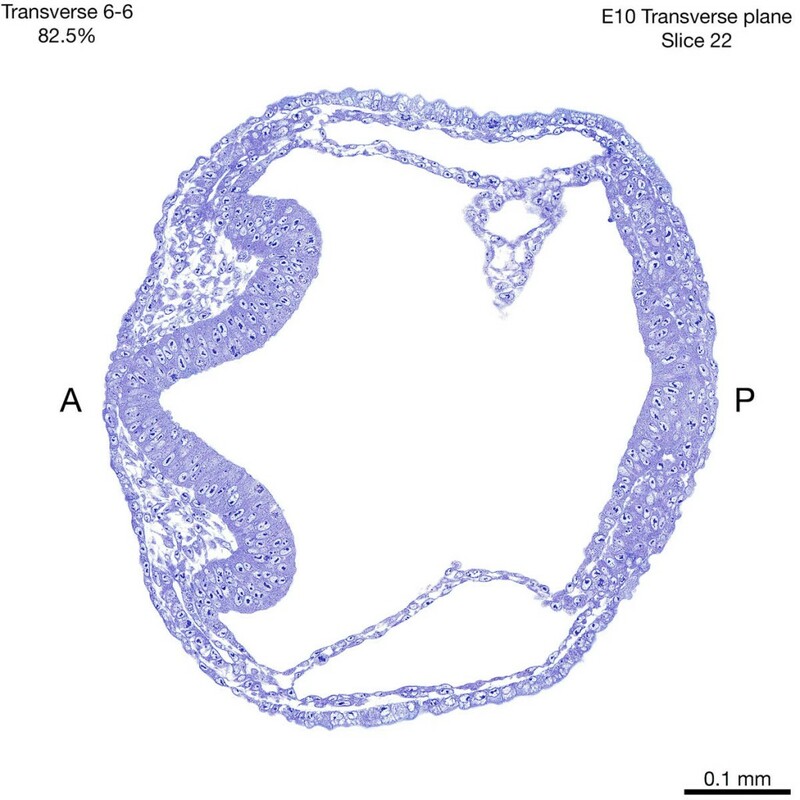 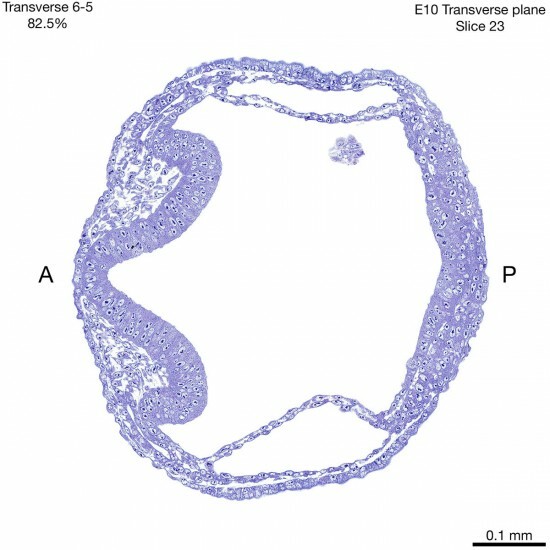 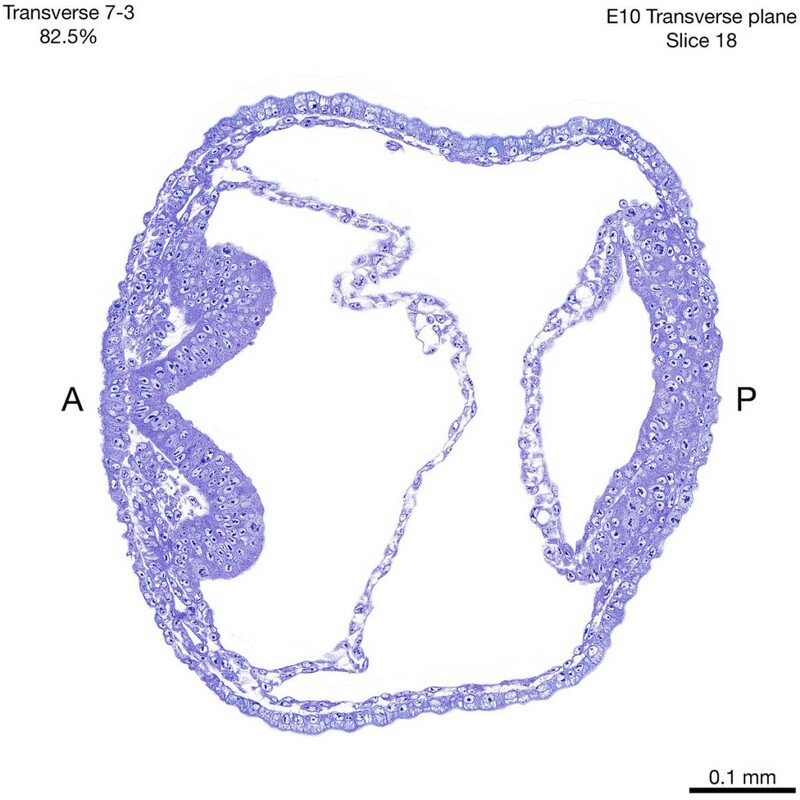 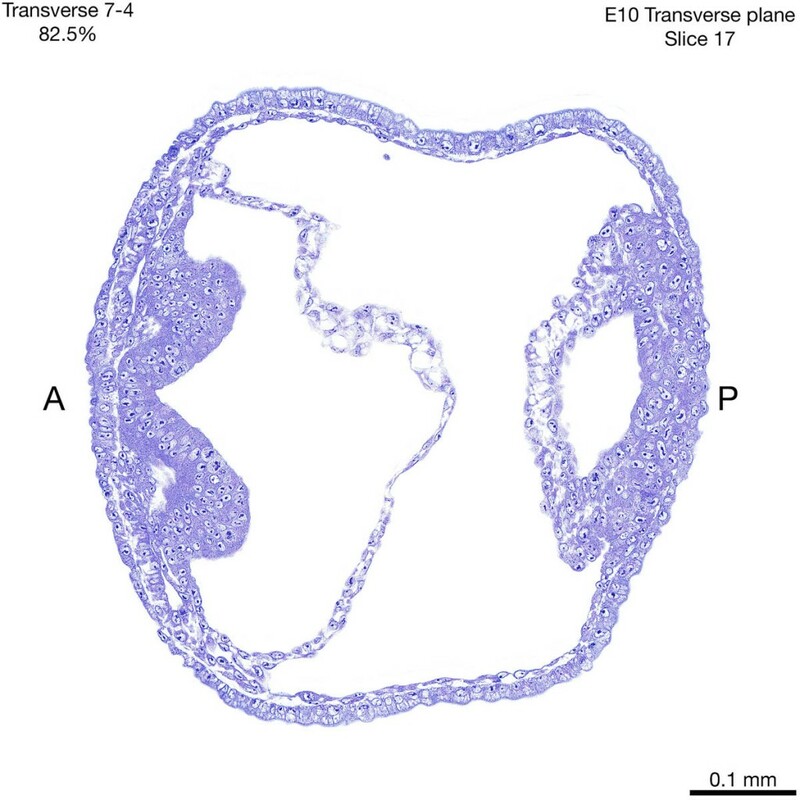 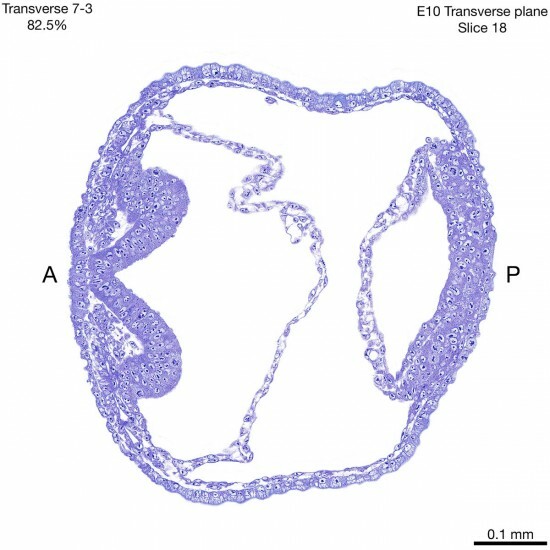 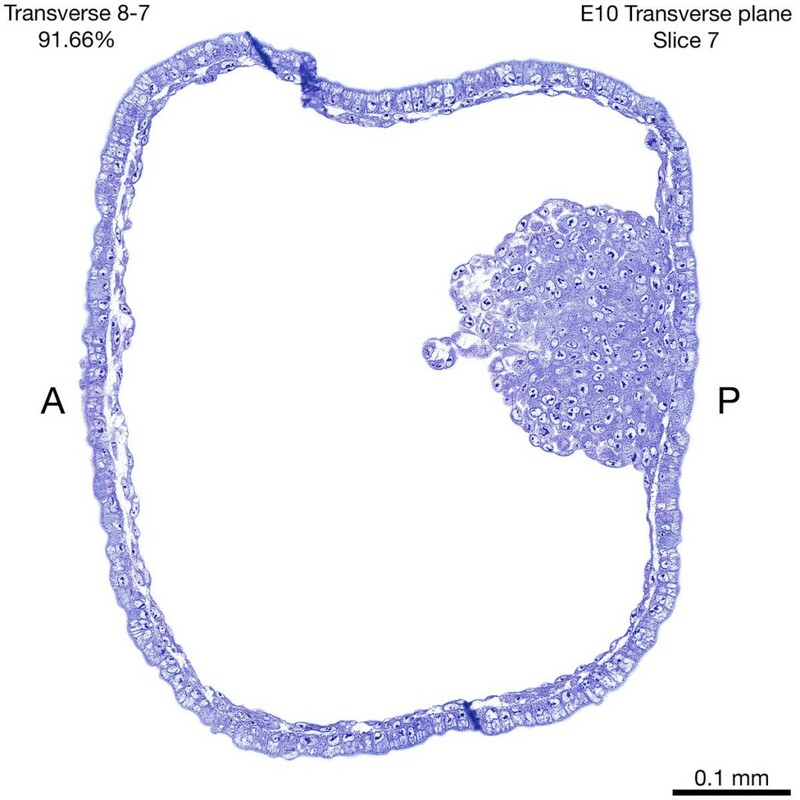 This page contains jpg files of EVERY SLICE that was scanned of the E10 transverse specimen. Thumbnails of the jpg files show up in the grid below where you have the option to download the files that you want. 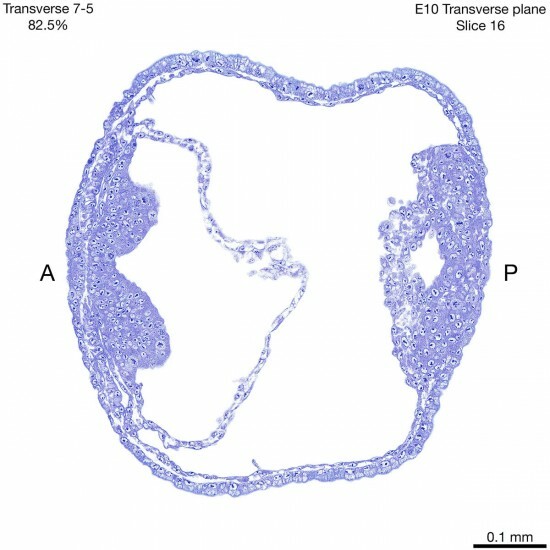 The jpg files will open in a variety of image viewers (photoshop, for example), and you can zoom to the highest magnification to see cellular details. No labels are on the images other than the slice number, the scale, A (ANTERIOR), P (POSTERIOR), and the slide number and slice number. 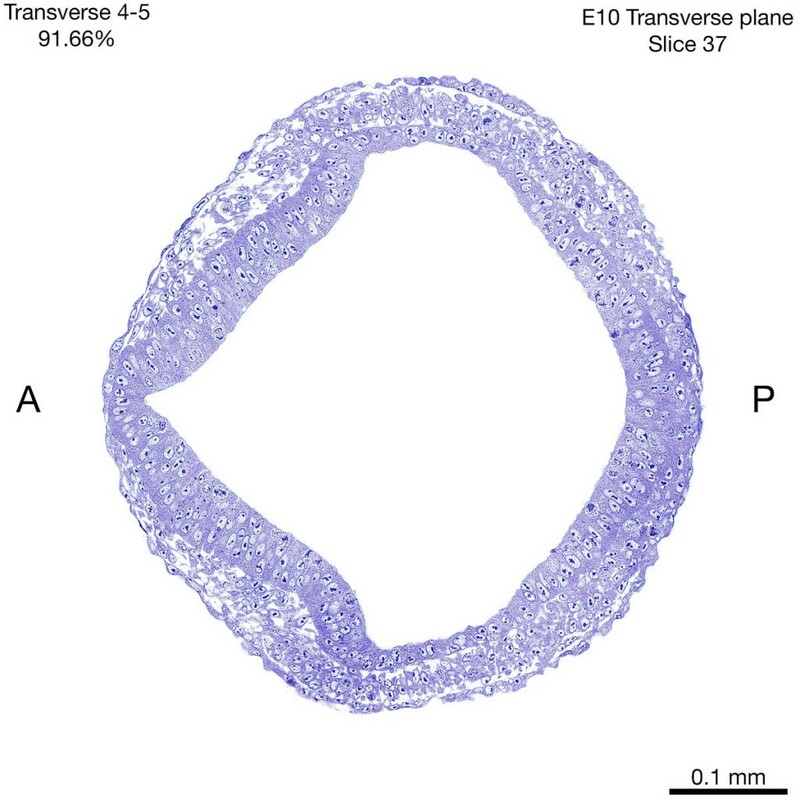 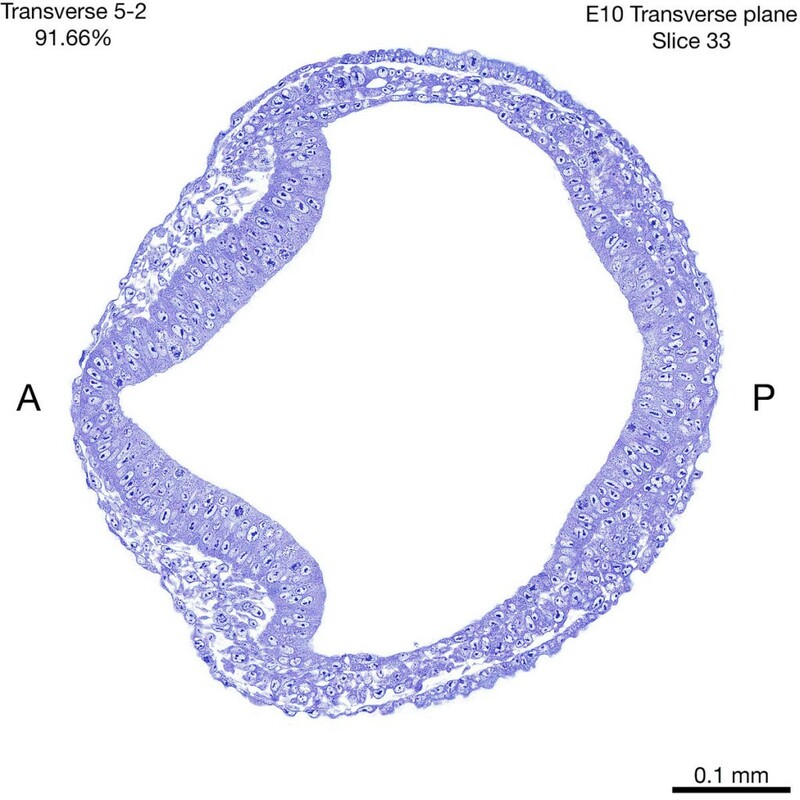 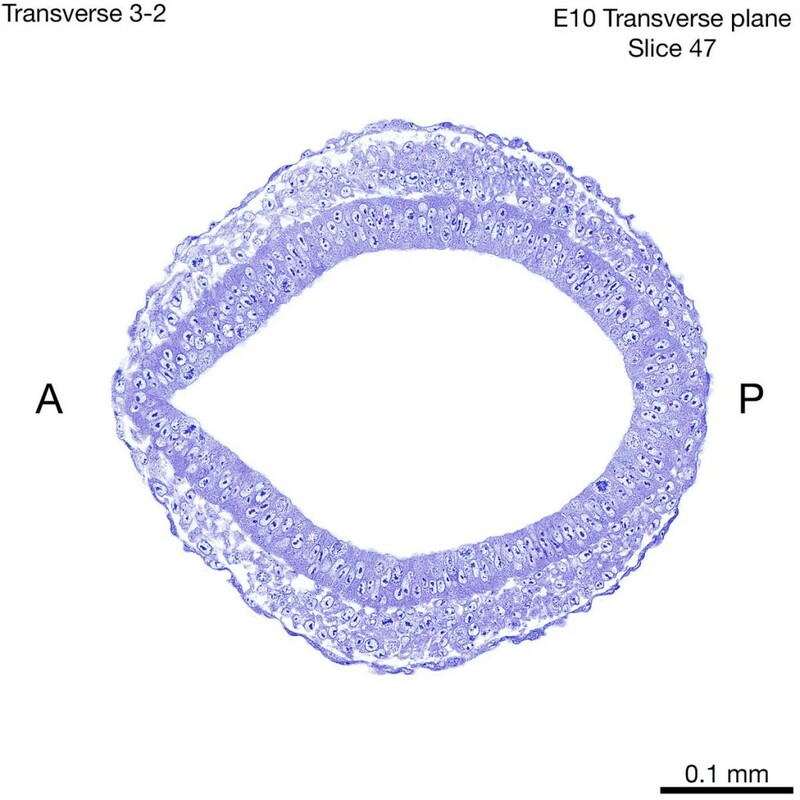 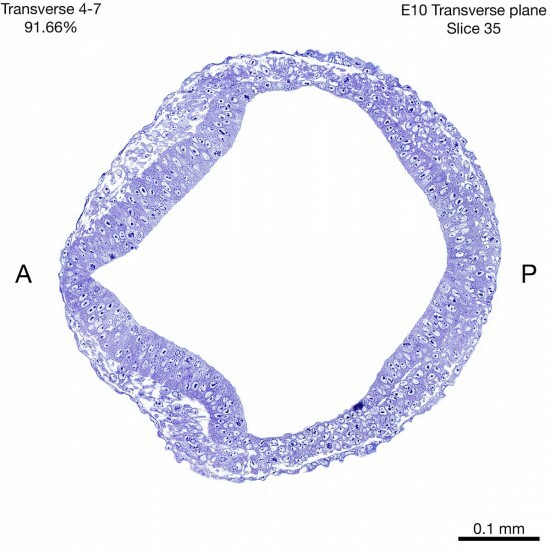 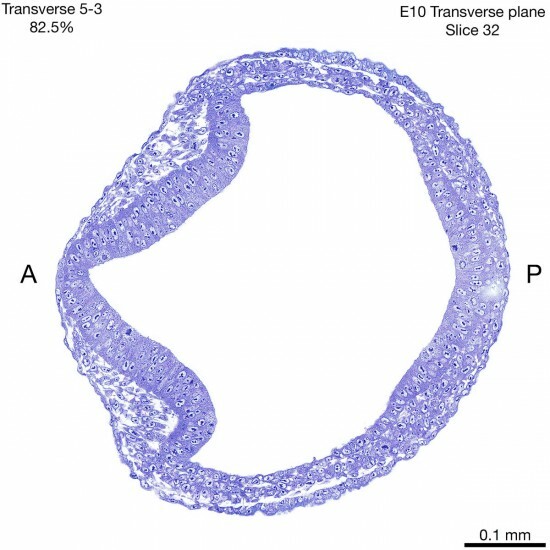 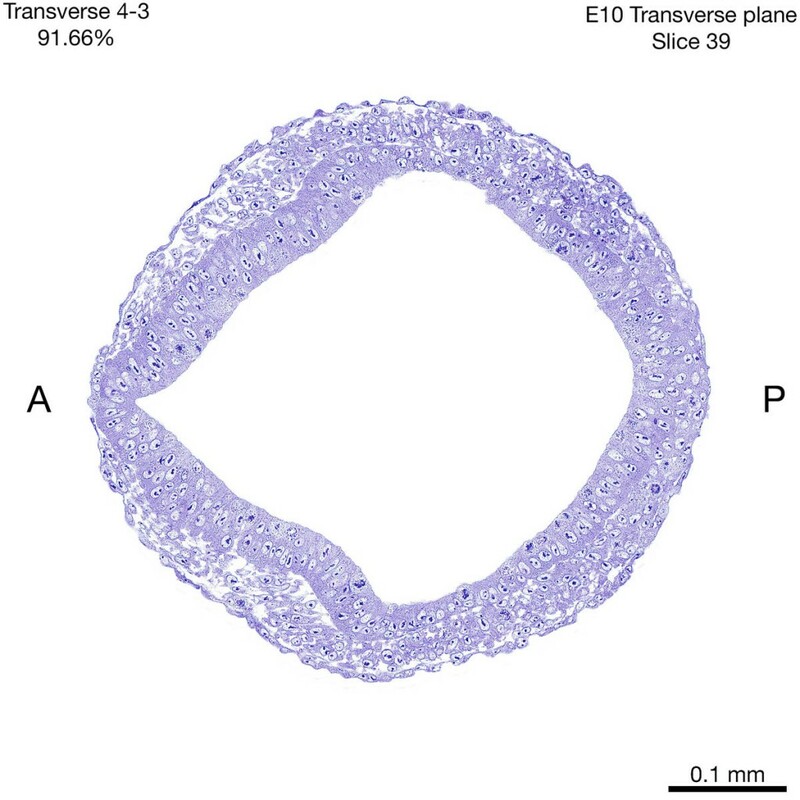 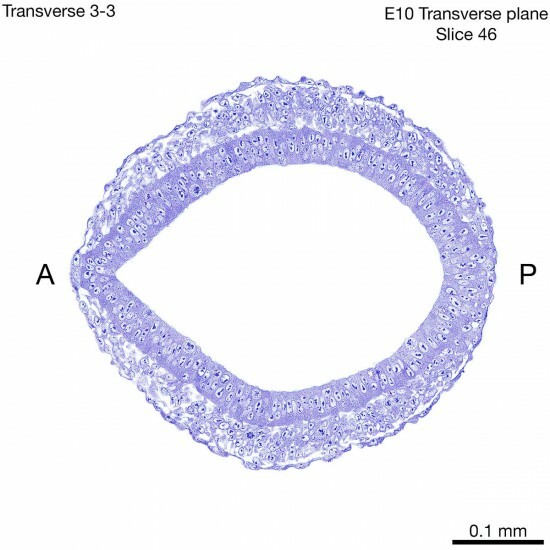 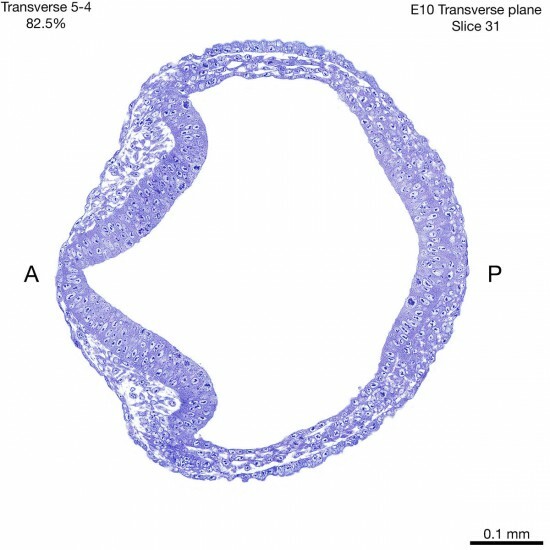 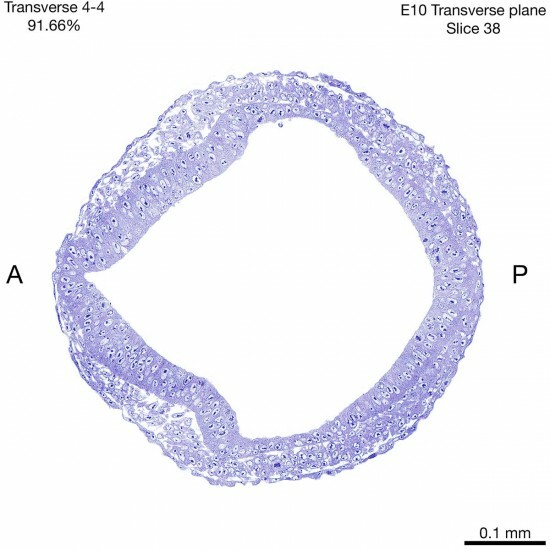 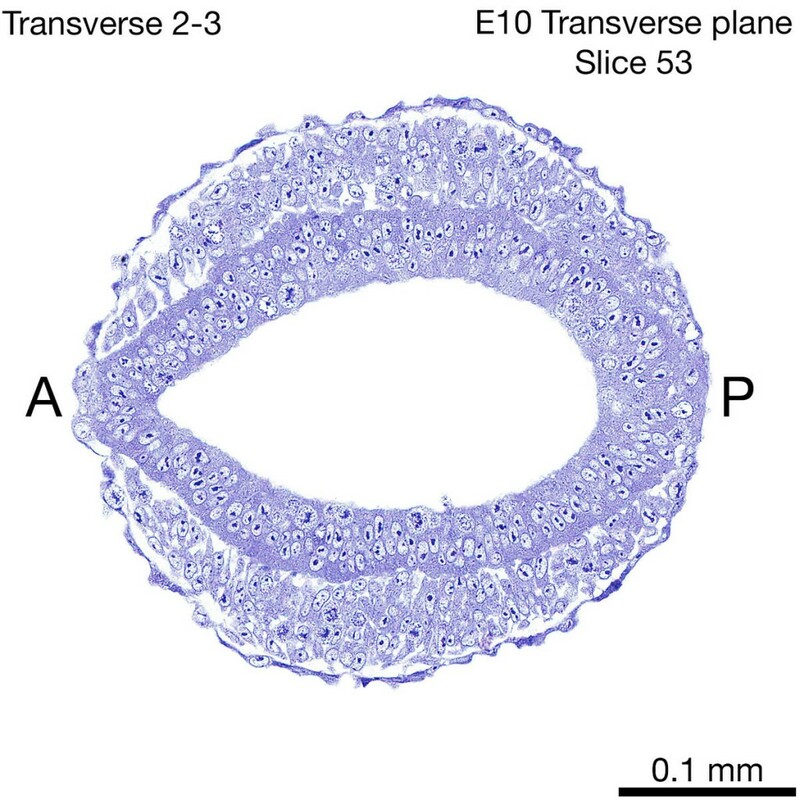 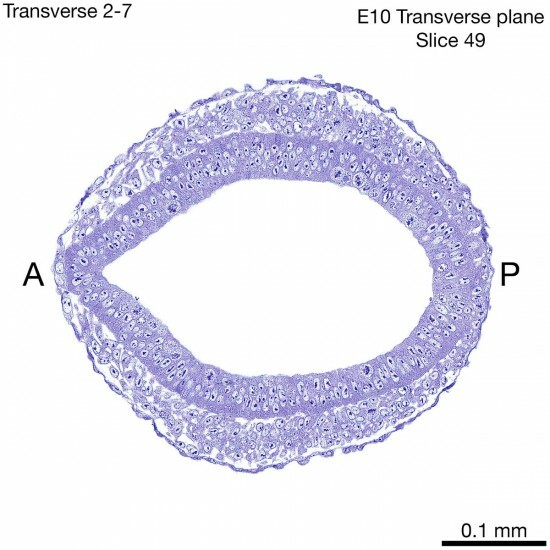 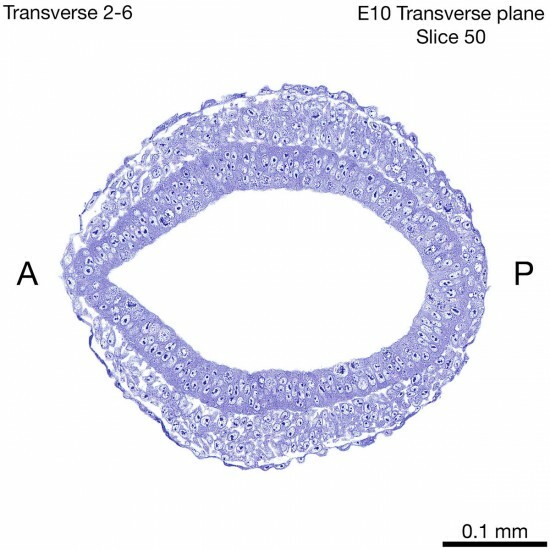 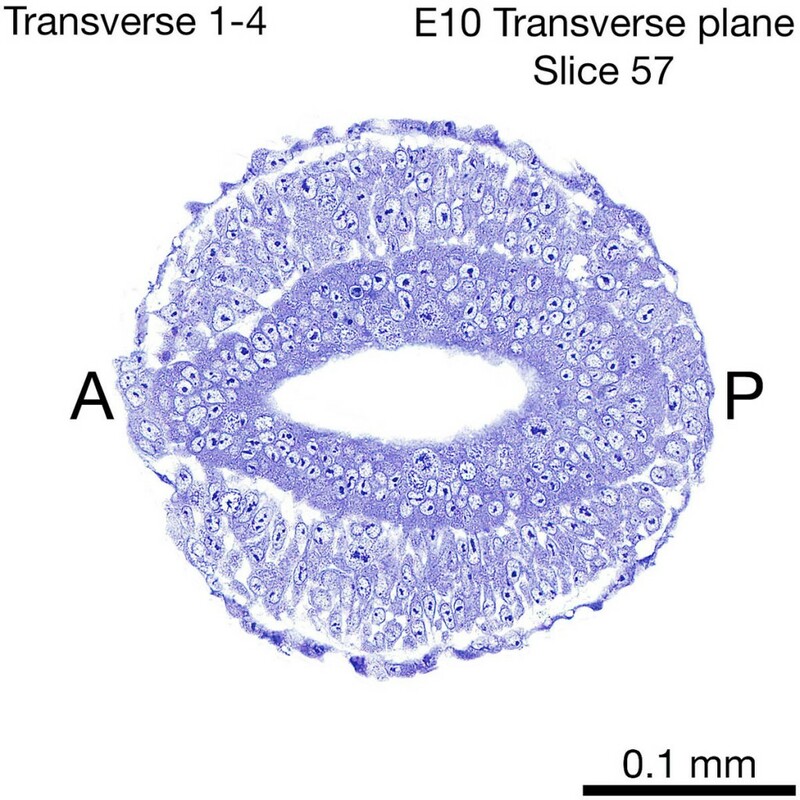 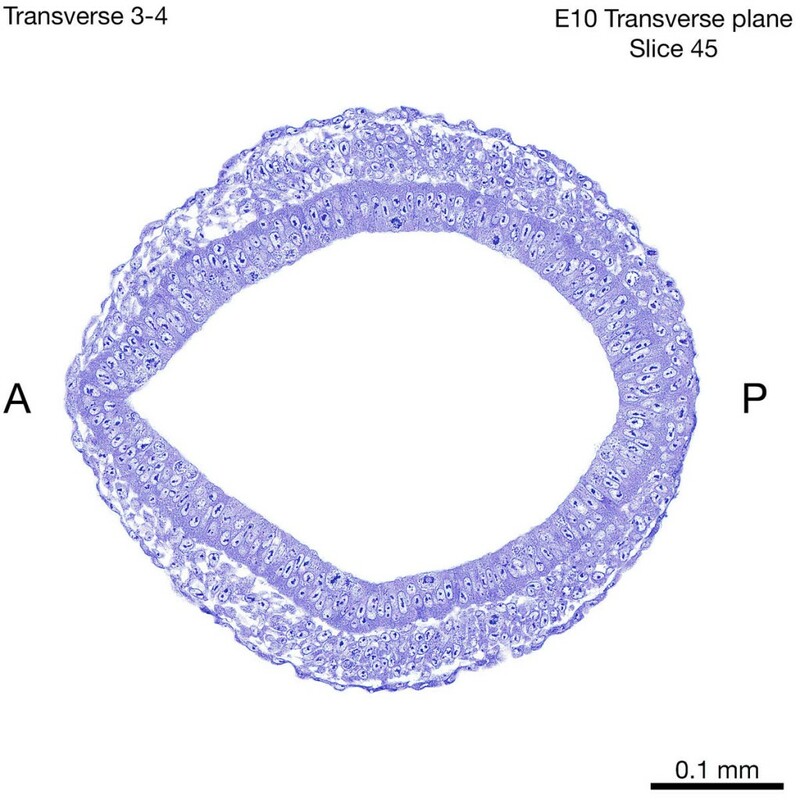 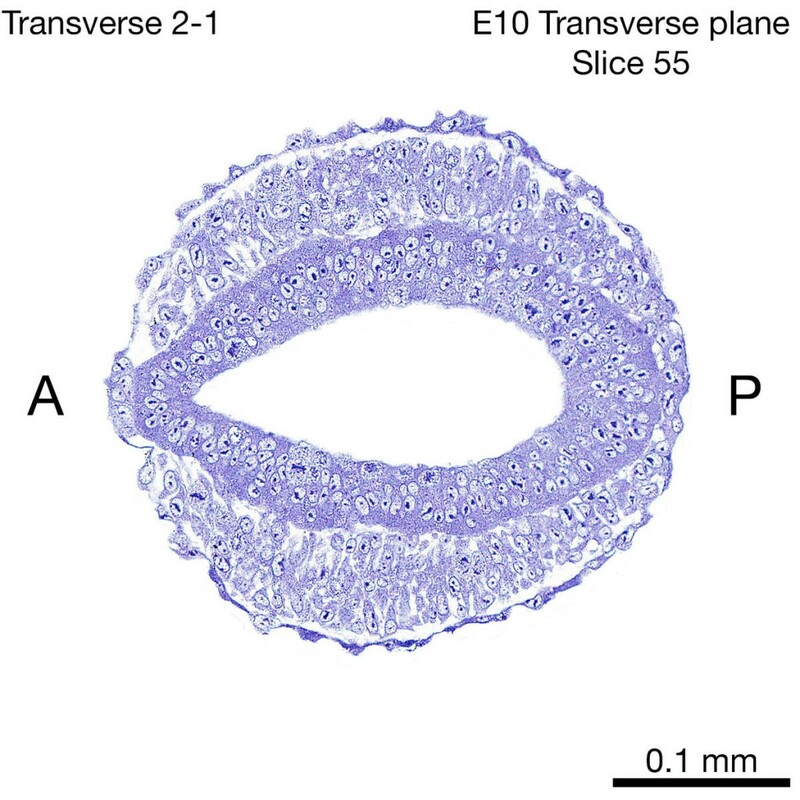 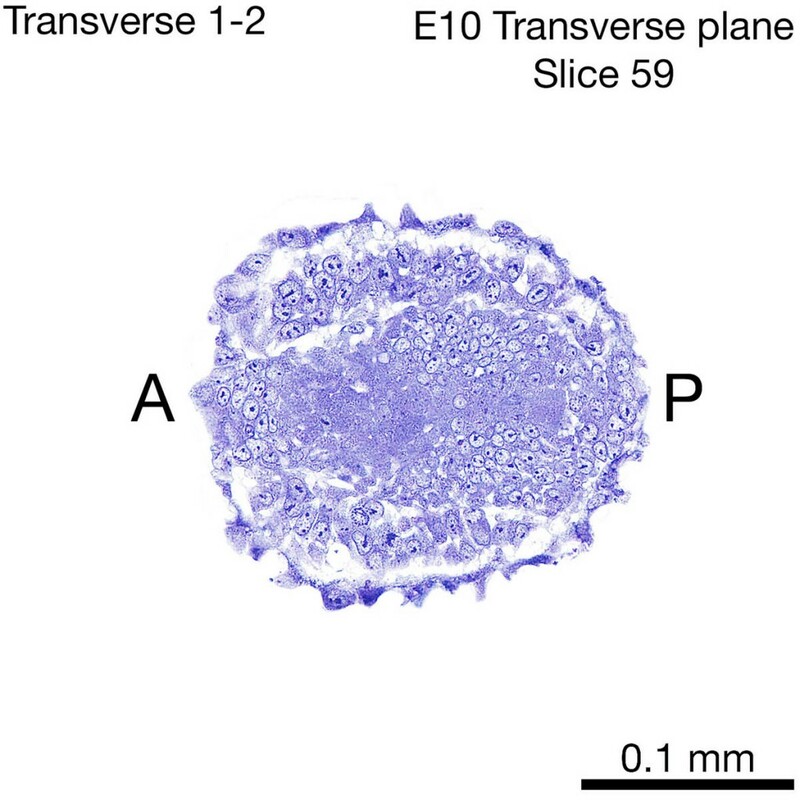 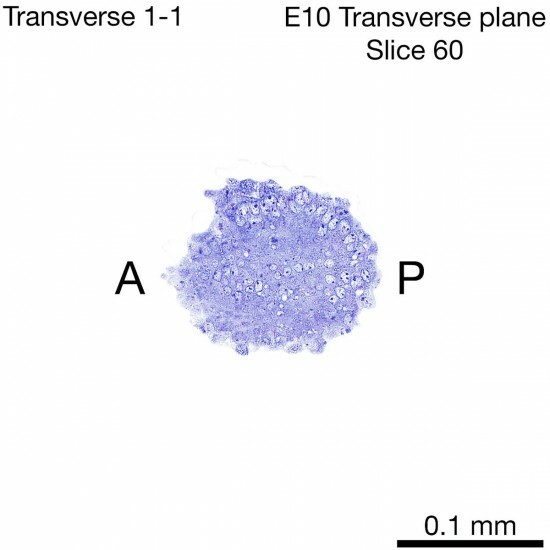 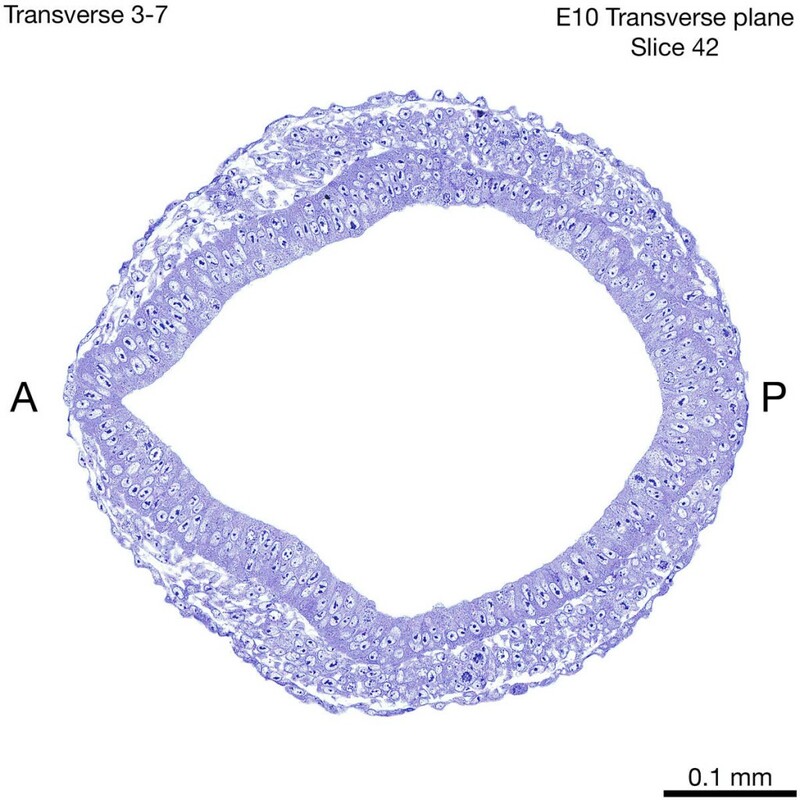 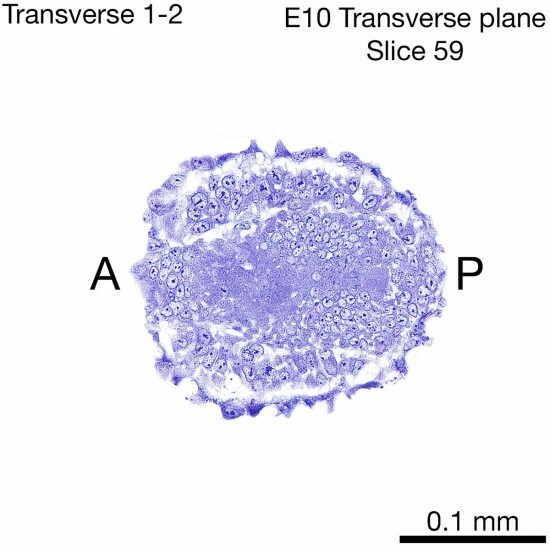 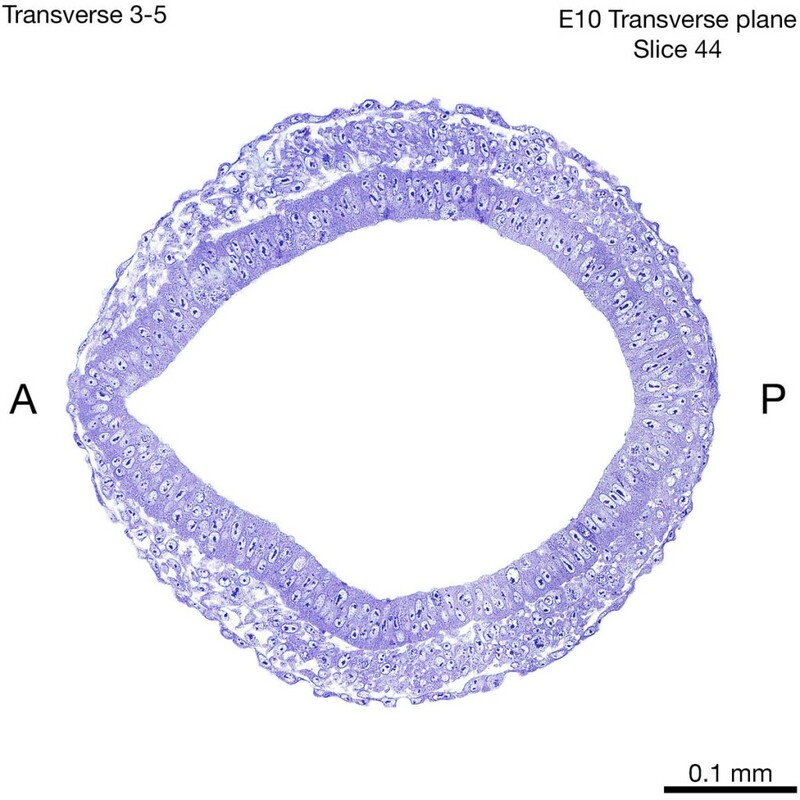 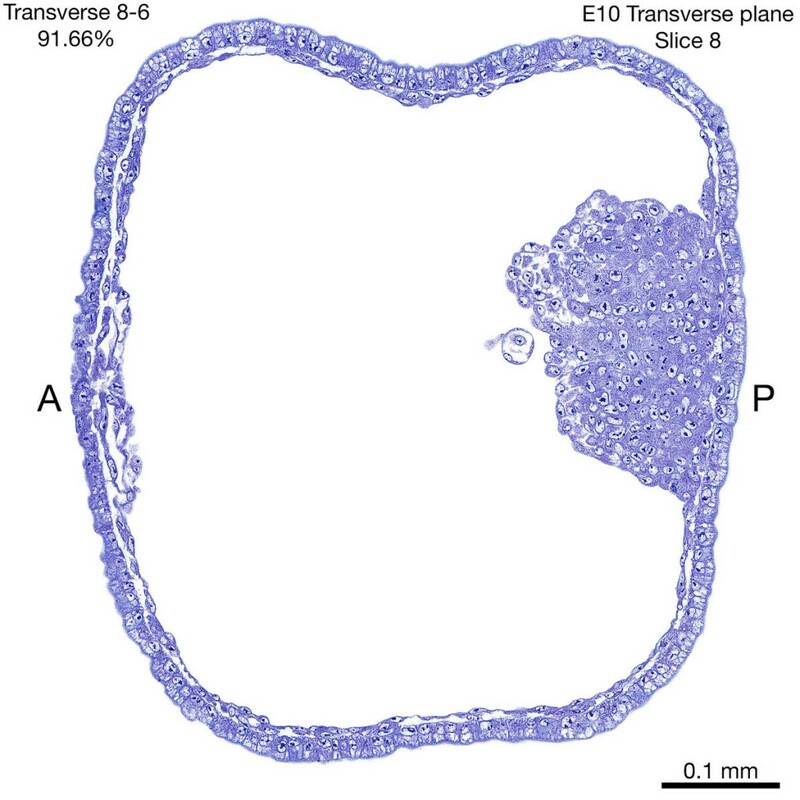 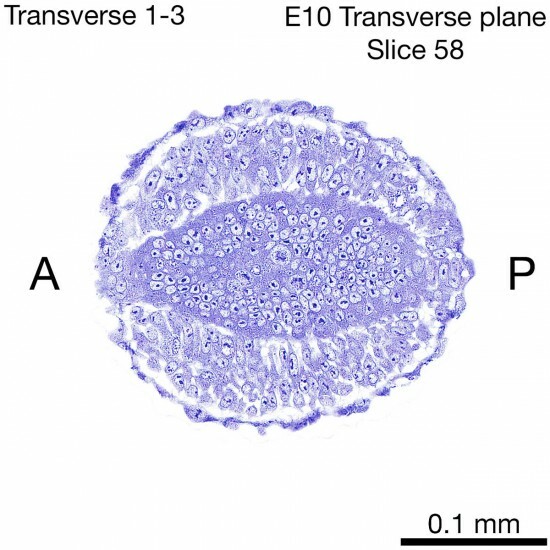 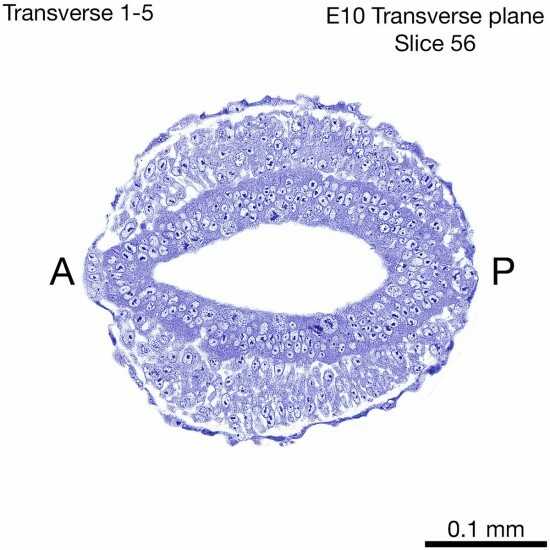 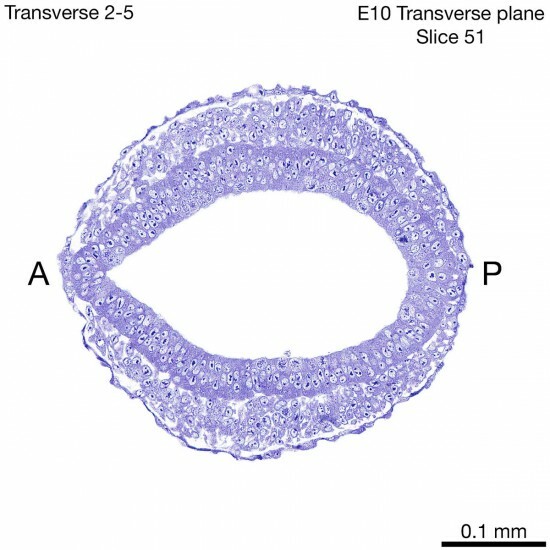 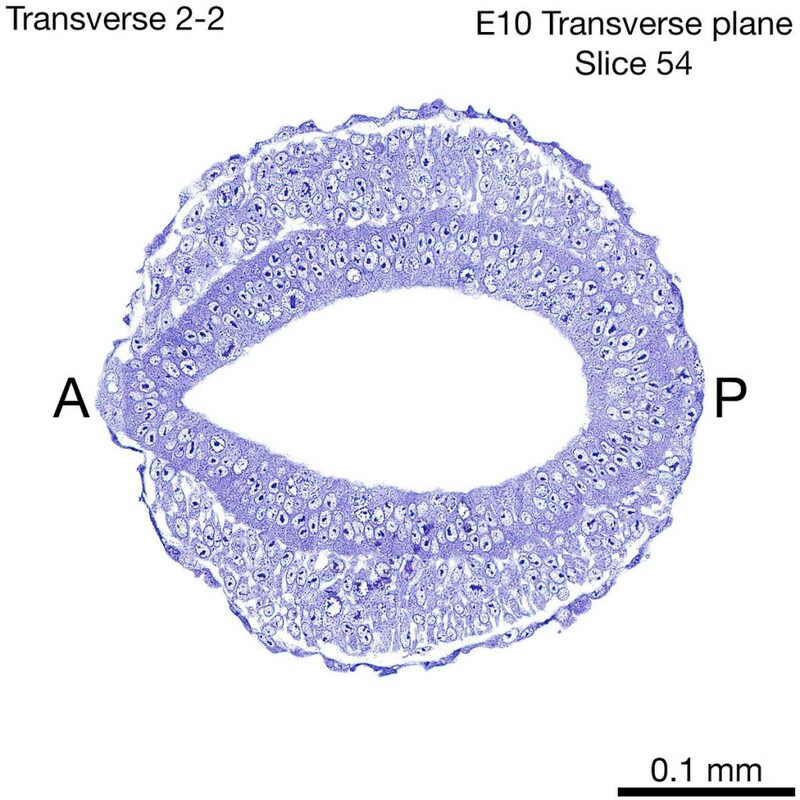 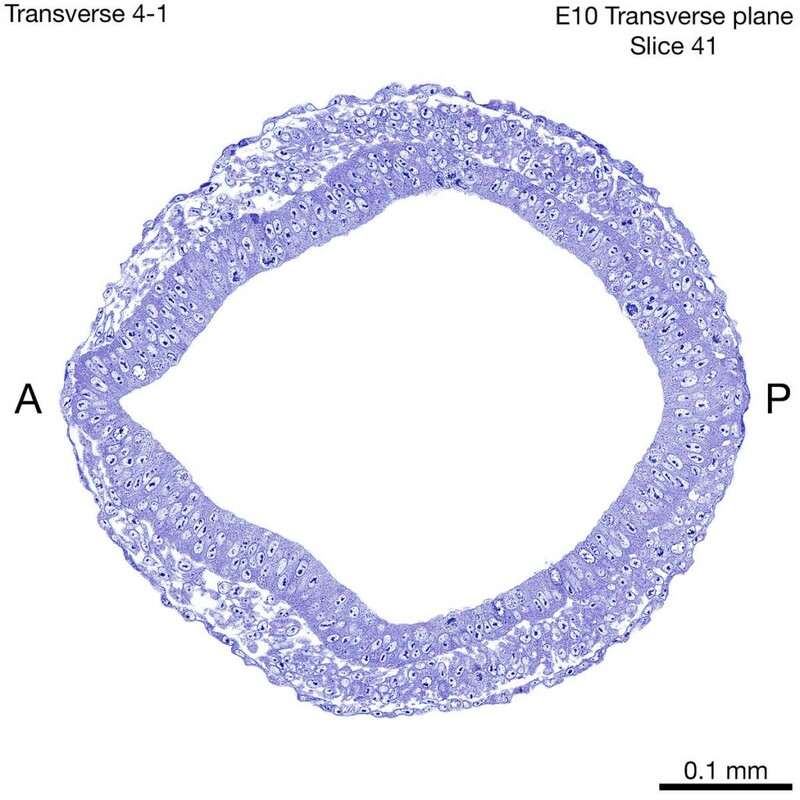 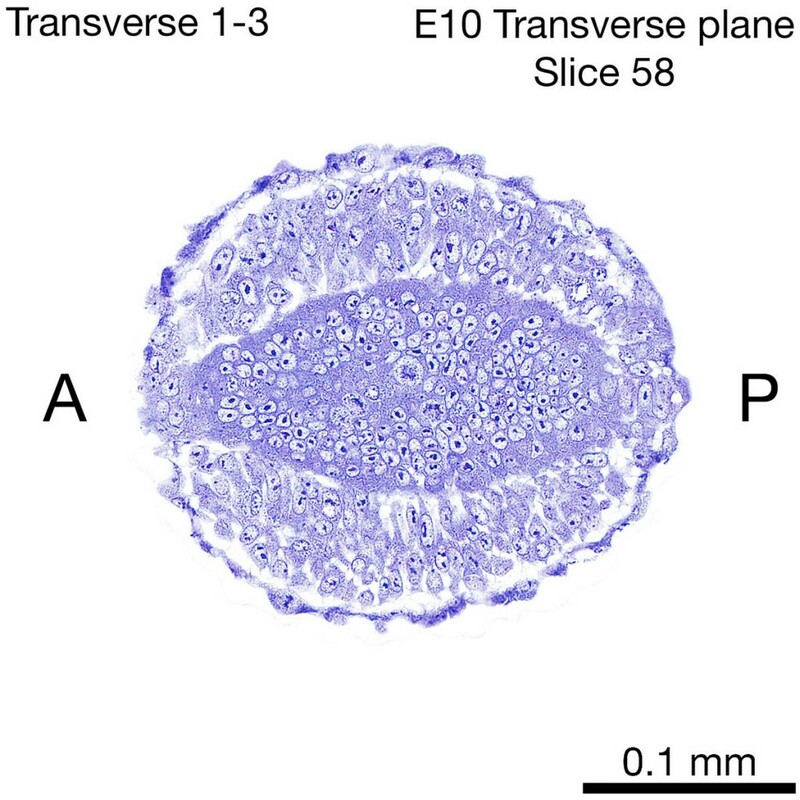 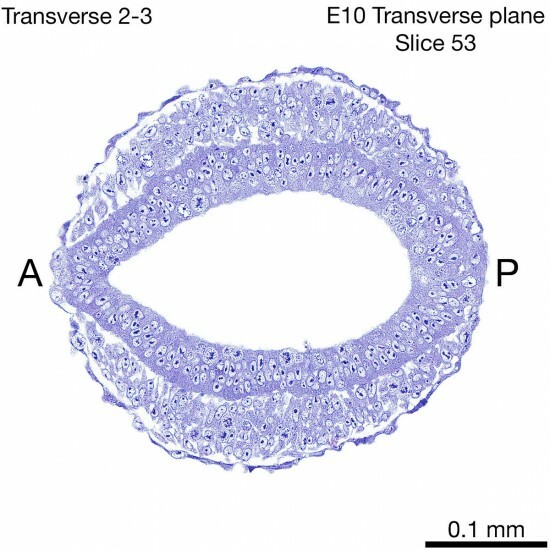 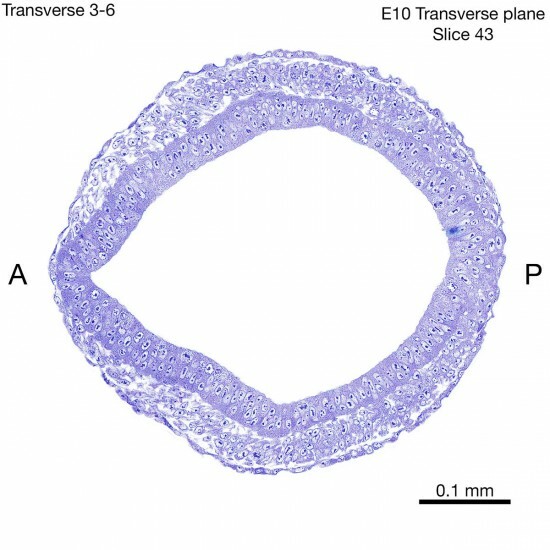 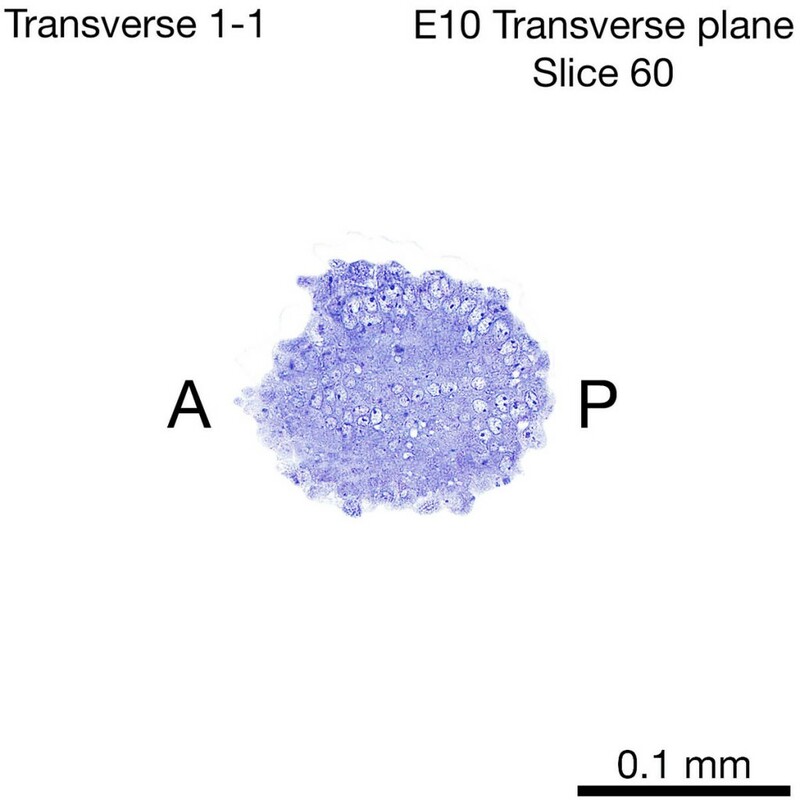 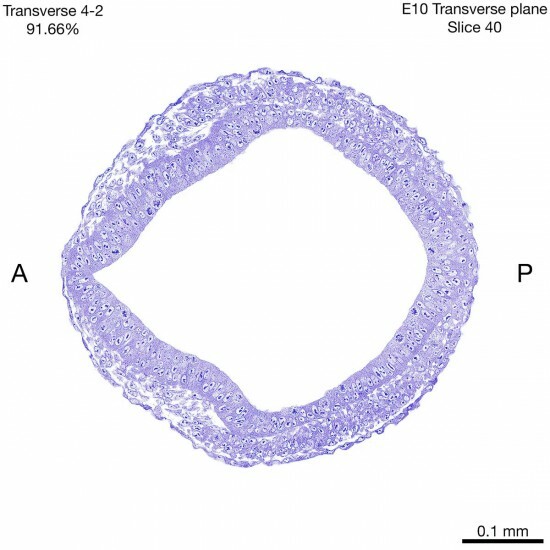 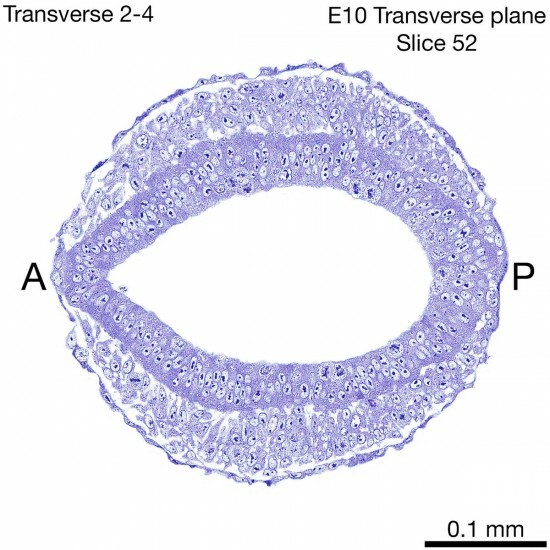 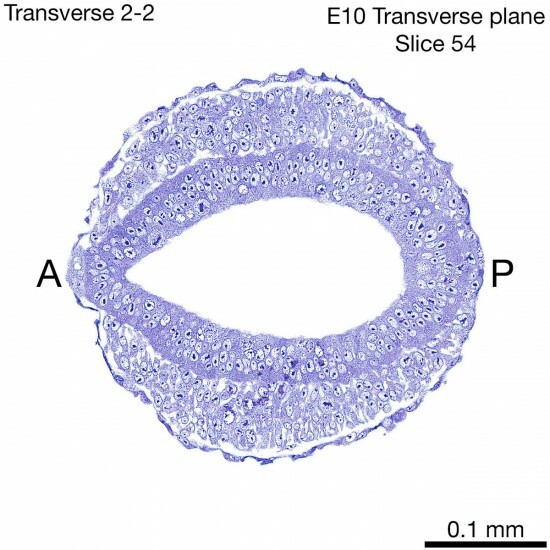 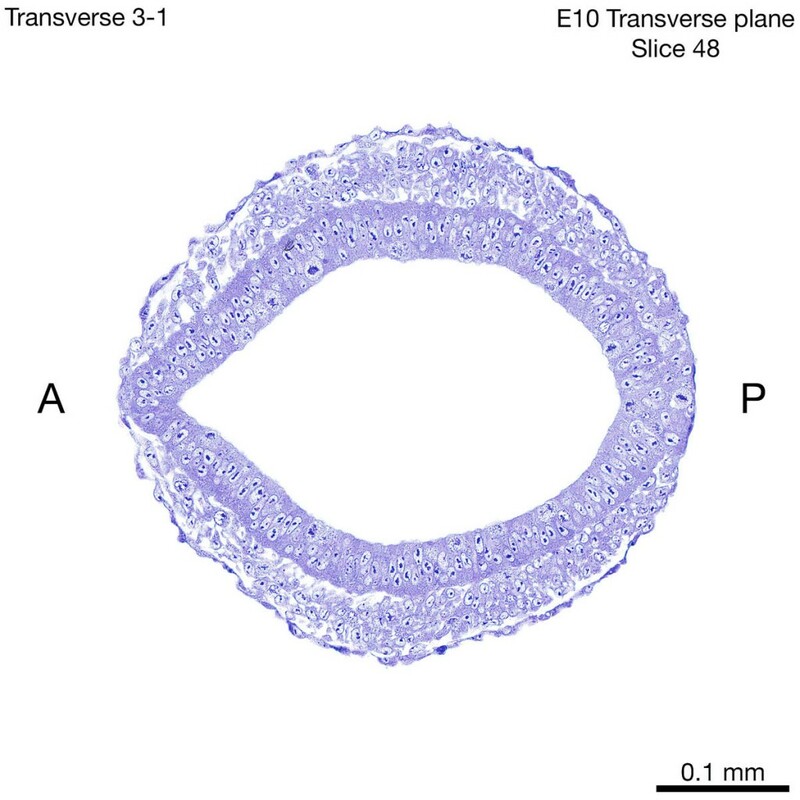 For example “transverse 3-2” indicates slide 3, slice 2; that is not the second slice on the slide, but the slice we chose to scan in row 2. 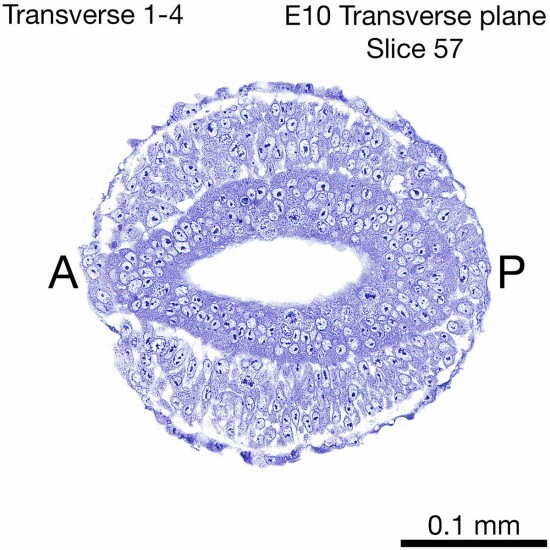 All of the slices are 3 µm thick.